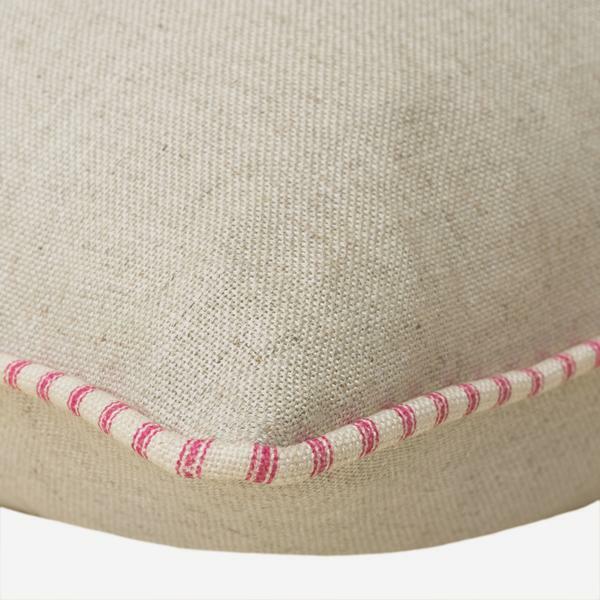 A neutral cushion in a plain linen-coloured weave with fun piping in pink ticking stripe. Trek provides the perfect balance to sharp kilim, detailed animal print and bold ikat designs. 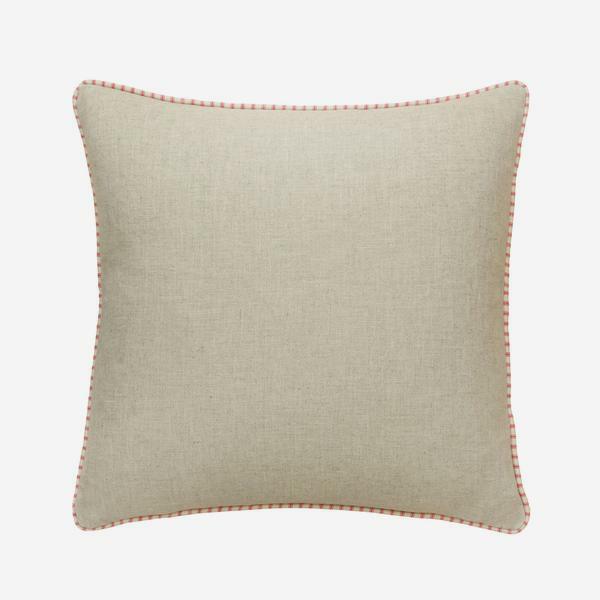 It is a versatile and practical key player in a interiors scheme with a characterful twist.